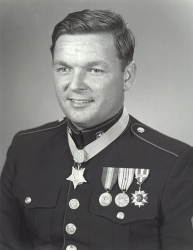 Master Sergeant Richard Allan Pittman is a retired U.S. Marine who received the Medal of Honor for his heroic actions on 24 July 1966 during the Vietnam War. Richard Allan Pittman was born on 26 May 1945 in Stockton, CA. He attended Hazelton Elementary School, Fremont Junior High School, and Franklin High School, all in Stockton. He graduated in June 1964. In high school, Pittman had been inspired by President John F. Kennedy's inaugural address, which called upon Americans to "ask not what your country can do for you...ask what you can do for your country." He decided that his call to service lay in the military. However, there was a major obstacle, because he was legally blind in one eye. Turned down by the Army, Navy, and Air Force, he was finally accepted by the Marine Corps Reserve and enlisted on 27 September 1965. During training, he began pushing for a transfer to active duty. He was discharged on 31 October 1965 to enlist in the regular Marine Corps on 1 November 1965. After recruit training at the Marine Corps Recruit Depot, San Diego, CA in December 1965, he went on to individual combat training with the 1st Battalion, 2nd Infantry Training Regiment, Camp Pendleton, CA, graduating in February 1966. Upon graduation, he was promoted to Private First Class. Transferred to the Far East in the Republic of Vietnam, he joined Company I, Battalion Landing Team 3rd Battalion, 5th Marines, 1st Marine Division and served as a rifleman with this unit until May 1966. He then became a rifleman and squad leader with Company I, 3rd Battalion, 5th Marines, 1st Marine Division, serving in this capacity until February 1967. He was promoted to Lance Corporal on 1 July 1966. Although his eyesight wasn't one of his strong points, when his unit was under attack, the sound helped tell him where he needed to go. The battle that took place on 24 July 1966 asked more of Pittman than he could have ever expected. At that point in the war, the North Vietnamese Army had made few major incursions into South Vietnam. But that day, they crossed the border and caught Pittman's company by surprise. He was at the rear when the attack began, on a narrow jungle trail, but he raced toward the sound of the heaviest fighting. After silencing two enemy positions, Pittman arrived at the front and hit the enemy with everything he had, providing valuable cover for his wounded comrades. When his own weapon was disabled, Pittman grabbed an enemy machine gun and resumed firing; when it ran out of ammunition, he grabbed a pistol, and when that was empty, he threw the very last weapon he could find - a grenade. The North Vietnamese had seen enough and decided to retreat. The battle had come with a severe cost, though: two-thirds of Pittman's company had been wounded or killed. Pittman's heroic actions that day earned him the Medal of Honor. 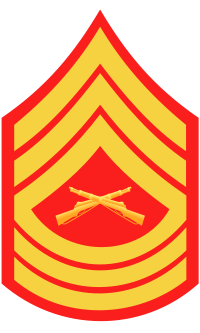 For conspicuous gallantry and intrepidity at the risk of his life above and beyond the call of duty as a member of First Platoon, Company I, Third Battalion, Fifth Marines during combat operations near the Demilitarized Zone, Republic of Vietnam. On 24 July 1966, while Company I was conducting an operation along the axis of a narrow jungle trail, the leading company elements suffered numerous casualties when they suddenly came under heavy fire from a well concealed and numerically superior enemy force. Hearing the engaged Marines' calls for more firepower, Sergeant (then Lance Corporal) Pittman quickly exchanged his rifle for a machine gun and several belts of ammunition, left the relative safety of his platoon, and unhesitatingly rushed forward to aid his comrades. Taken under intense enemy small-arms fire at point blank range during his advance, he returned the fire, silencing the enemy positions. As Sergeant Pittman continued to forge forward to aid members of the leading platoon, he again came under heavy fire from two automatic weapons which he promptly destroyed. Learning that there were additional wounded Marines fifty yards further along the trail, he braved a withering hail of enemy mortar and small-arms fire to continue onward. As he reached the position where the leading Marines had fallen, he was suddenly confronted with a bold frontal attack by 30 to 40 of the enemy. Totally disregarding his own safety, he calmly established a position in the middle of the trail and raked the advancing enemy with devastating machine-gun fire. His weapon rendered ineffective, he picked up a submachine gun and, together with a pistol seized from a fallen comrade, continued his lethal fire until the enemy force had withdrawn. Having exhausted his ammunition except for a grenade which he hurled at the enemy, he then rejoined his own platoon. Sergeant Pittman's daring initiative, bold fighting spirit and selfless devotion to duty inflicted many enemy casualties, disrupted the enemy attack and saved the lives of many of his wounded comrades. His personal valor at grave risk to himself reflects the highest credit upon himself, the Marine Corps and the United States Naval Service. Pittman received a meritorious promotion to Corporal on 12 November 1966. Corporal Pittman next saw duty as section leader and motor vehicle operator with Transport Company, 7th Motor Transport Battalion, 1st Marine Division (redesignated Transport Company, 7th Motor Transport Battalion, Force Logistics Command). While serving in Vietnam, he participated in numerous combat operations including Operation Deckhouse 1 and Joint Operation Nathan Hale with Army, Navy, and Air Force, at Song Cau District; Operation Deckhouse 2 and Operation Hastings at Quang Tri Province; Operation Colorado and Operation Napa at Tam-Ky Province; Operation DeSoto near Quang Ngai; and in action against enemy forces at Da Nang. Upon his return to the U.S., he served his last tour of duty as a postal clerk with Headquarters Company, Headquarters Battalion, 5th Marine Division at Camp Pendleton. While stationed at Camp Pendleton, he was promoted to Sergeant on 1 December 1967. He was discharged from active duty on 5 April 1968. Richard A. Pittman received the Medal of Honor from President Lyndon B. Johnson on 14 May 1968. In 1970, he re-enlisted in the Marine Corps and was promoted to a final rank of Master Sergeant during his 21-year career. 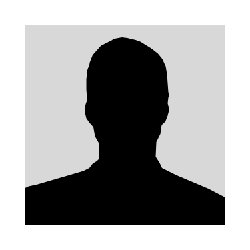 He retired in November 1988 and resides in Stockton, CA.